Natalie has a wonderful blog with book reviews, crafty tips, blog hops & giveaways...she loves to knit & crochet, and she is a Vibrational Therapist who works with alternative healing methods. She is originally from South Africa but now lives in Switzerland with her hubby & two teen girls. Thank you to everyone who hopped on board last month! Natalie has a wonderful blog with book reviews, crafty tips, blog hops & giveaways - she loves to knit & crochet and she is a Vibrational Therapist who works with alternative healing methods. She is originally from South Africa but now lives in Switzerland with her hubby & two teen girls. Hi there - I'm your newest GFC follower! Woot woot, thanks for hosting! 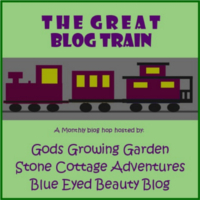 I'm a new follower from this weeks blog hop! I love your spider web photo! Hi Marci! Thanks for hosting. Looking forward to visiting some new blogs!! Thank you for hosting. I am your newest follower! 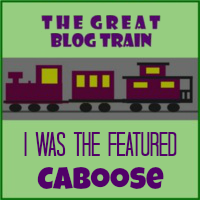 It's been a while since I've been blog-hopping, but it's good to be back again. Thanks for still hosting - it's fun to meet such great crafters! Choo choo! Thanks for hosting. Best wishes.